Just add water & cream OR Coconut milk to magically prepare a rich & creamy dinner soup mix. Add a few fresh ingredients like organic spinach & baby potatoes (pictured), OR try broccoli and scallops OR chicken asparagus and fresh forest mushrooms for a simple gourmet feast. 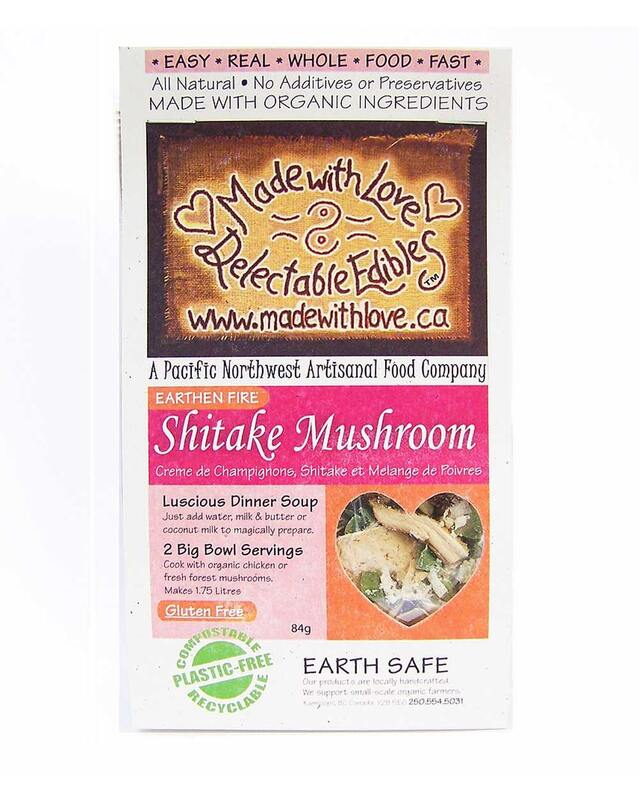 We love adding this soup mix to organic brown and wild rice mix for a gorgeous whole grain rice dish. 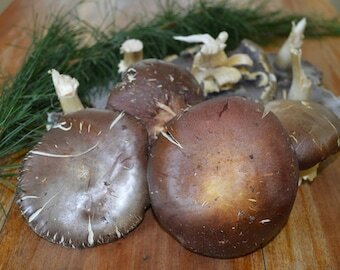 Great for use in everyday recipes like a simple wild rice side dish (pictured) casseroles or roasted oven dinners. 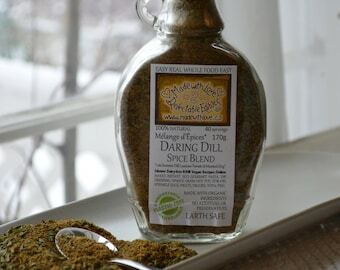 We love it as the seasoning mix for "chicken and veggies" crock pot dinner. NOW GLUTEN-FREE with Tapioca! Easy Real Whole Food Fast! All our edible gifts come packaged in 100% recycled fibre tissue paper nestled with hearts and flower petals, dried herbs, spices and twigs. Gorgeous edible gifts for yourself and the ones you love, our earth included! INGREDIENTS: Dried shitake & button mushrooms, green & white onions, Parmesan cheese, (Milk, salt, bacterial culture, rennet, calcium chloride) herbs & spices, whole white, red and green peppercorns, tapioca, unbleached raw turbinado sugar, dry mustard, natural sea salt. 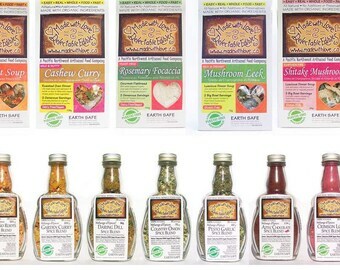 Please visit http://www.youtube.com/madewithlovechannel to watch our weekly TV cooking show Easy Real Whole Food Fast! and find hundreds of gourmet recipes, with five or less ingredients to make healthy gourmet meals in minutes. Our Motto: Happy Healthy People on a Happy Healthy Planet! We welcome payment directly with Visa or MC by phone to 250 554 5031 or by email money transfer. Thank-you for your conscious spending! Together we are changing our world. Really love these as soups. You can't make them wrong. I use 2 cans of coconut milk and a cup of milk or cre!m. Its awesome. Second time used chicken and it was also super good. I love that these are organic which is super important to me but even more so... this is fast food, that is good food, and good for you. I loved these so much I have already placed another big order. Can't wait to try the others.